Kaitlin Murphy Foundation provides grant to Women’s Recovery Community Center - Times Publishing Newspapers, Inc. 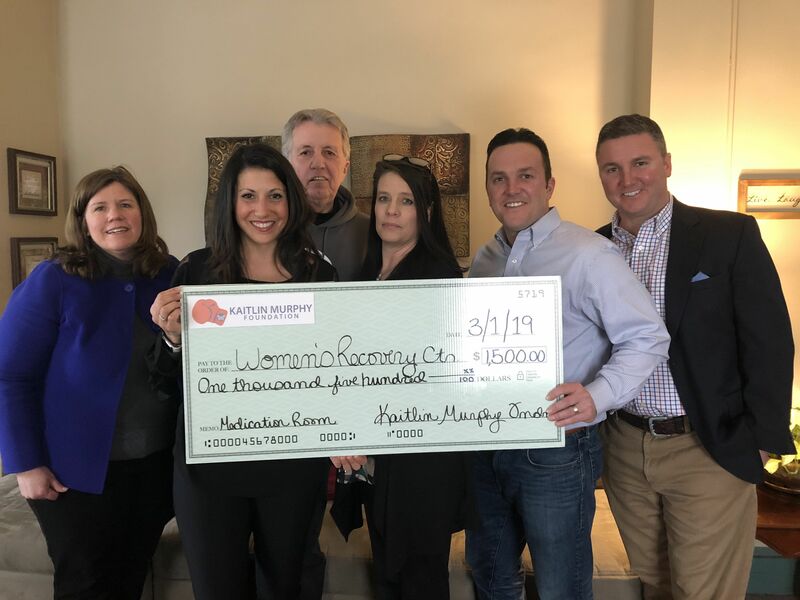 The Kaitlin Murphy Foundation (KMF) recently provided a grant to the Women’s Recovery Community Center (WRCC), a project of PRO-ACT, located in New Britain. PRO-ACT, Pennsylvania Recovery Organization – Achieving Community Together, is a grassroots advocacy and recovery support initiative of The Council of Southeastern Pennsylvania. The funds donated by KMF will be utilized by the WRCC to improve program delivery and the recovery supports provided through an enhancement to the building’s layout and function. WRCC provides a structured residential environment for up to 12 women. It supports each resident by teaching tools and coping skills to help them achieve and sustain long-term recovery from substance use disorder. Center programs allow the residents to increase their community engagement, learn life skills, and learn from staff and volunteer mentors. KMF’s mission is to bring awareness to the addiction epidemic, form a community of fighters to join the battle, and raise the funds needed to support addiction-fighting charities that are already doing the good work on the ground level. PRO-ACT works to reduce the stigma of addiction, ensure the availability of adequate treatment and recovery support services, and to influence public opinion and policy regarding the value of recovery. PRO-ACT supports all pathways to recovery and embraces the Recovery-Oriented System of Care. Recovery-oriented systems support person-centered and self-directed approaches to care that build on the strengths and resilience of individuals, families, and communities to take responsibility for their sustained health, wellness and recovery from alcohol and drug problems. 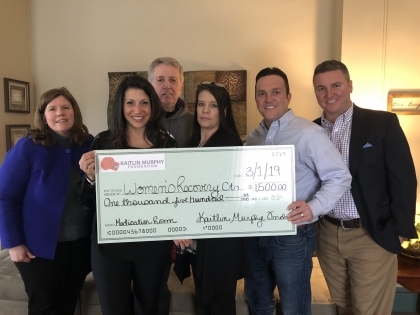 In addition to providing funds for enhancements to the Women’s Center, KMF also partners with police departments throughout Bucks County via Bucks County Police Assisting in Recovery; contributed in establishing the newly formed HEART Program (Healing, Empowering, And Recovering Together), a women’s recovery program in the Bucks County Correctional Facility; provides support to The Moyer Foundation’s Camp Mariposa, a national addiction prevention and mentoring program for children who have been impacted by addiction in their household aimed at breaking the intergenerational cycle of addiction; and funded the Kaitlin Murphy Art & Music Therapy Program, a creative arts therapy program at Libertae, a women’s recovery facility in Bensalem. For more information on the Kaitlin Murphy Foundation, visit www.KaitlinMurphyFoundation.org. For more information on PRO-ACT, visit https://www.councilsepa.org/programs/pro-act.